I played the Japanese version of Persona 4 Dancing All Night a few years ago out of impatience for a localised release announcement and found myself unintentionally raking in the trophies. At the start of this year, I made it my resolution to platinum at least one JRPG and as I was checking what seemed achievable, my over 90% completion of Dancing All Night made it feel silly not to get the platinum for, even if it’s more rhythm spinoff game than JRPG. As a fan of rhythm games outside of my JRPG life, I really enjoyed aiming for high scores and dance fever combined with one of my favourite JRPG series ever. 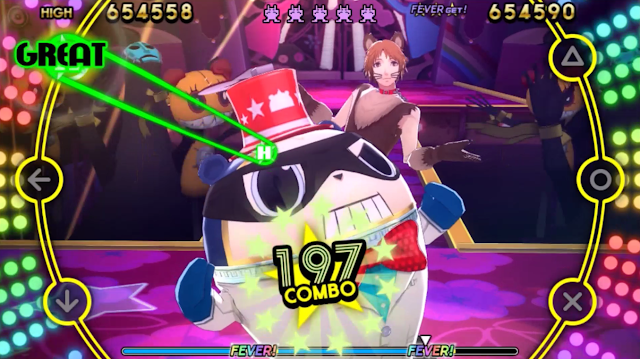 As for the platinum trophy experience, aside from a couple of minor time-consuming trophies, compared to Persona 4 Golden’s platinum trophy’s multiple playthrough extravaganza, Persona 4 Dancing All Night’s trophy is a piece of cake that a majority of people can probably get easily with a little bit of time. Persona 4 Dancing All Night has 40 trophies that break down into 21 Bronze, 15 Silver, 3 Gold and the Platinum. At the time of making this, no trophies on the list seem to go above a ‘rare’ in the PSN rating system and most of the trophies are based on just experiencing different aspects of Persona 4 Dancing All Night. The length of this trophy will depend on your skills and since I played it over a spread out period of time, I don’t have a solid grasp on how long it took me. However, since Dancing All Night’s story is in visual novel form and most of the trophies can be done in Free Dance, I imagine it can take much less time than the average JRPG Platinum Trophy. 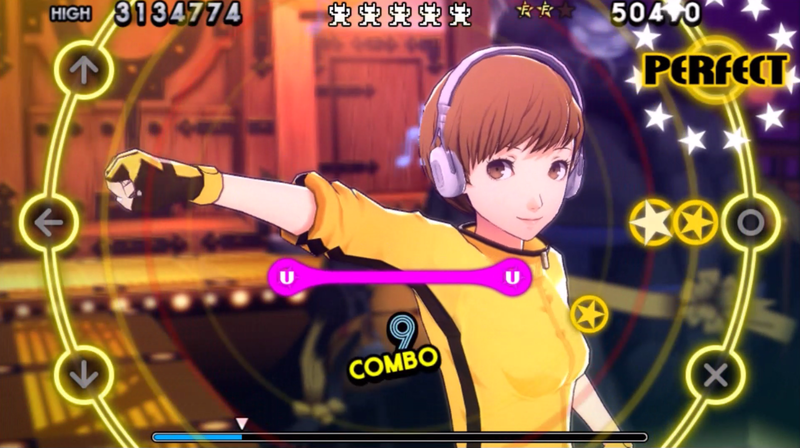 In my opinion, a vast majority of Persona 4 Dancing All Night’s trophies can be classified as easy, as most of them can be done just by completing a basic task. 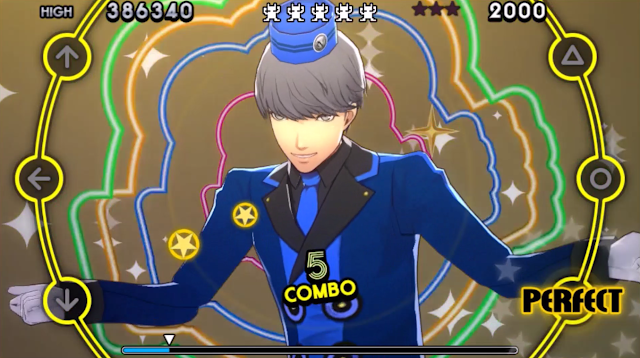 There are trophies for trying on a costume for the first time or for pairing certain characters together, which can be done really quickly just by changing settings before you enter a Free Dance song. Even the story trophies are very easy, as the visual novel format allows you to skip through the story while still getting all of the trophies, which is what I did with the Japanese version. What makes these trophies and Persona 4 Dancing All Night’s platinum trophy so easy is that a good majority of them aren't based on skill, you just need to play a little bit to amass money, use items to boost your rewards and you're pretty set. If you're looking for a quick way to boost your trophy total, these ones will get you up 30 in no time. I put these trophies in the Challenging section of this post, but in reality you can just play Easy Mode and get these trophies very easily, which is what I did to be honest. I got the Born Entertainer trophy unintentionally while challenging myself for fun to try and get a perfect score in one of Persona 4 Dance’s songs and I don’t remember it taking very long at all. Star Dancer also wasn't that difficult to get after I chose the right song. This is because there's a secret to conquering most of Persona 4 Dance’s skill-based challenges and that’s using the super easy tutorial song ‘Specialist’ on easy when in doubt. This song is not difficult on most difficulty modes, so it made raising the difficulty of a that song feel only slightly harder and I was able to get it after only a few tries if that. I put these trophies here because they require a small amount of skill, but almost all can be done using the easiest song and/or difficulty to win. The only thing with these trophies is that they may take a little bit of time and playing, but if you enjoy rhythm games and the Persona 4 soundtrack as much as I do, this probably won’t be much of a problem. The Persona 4 Dancing All Night Platinum trophy is definitely the easiest one I’ve gotten, especially once I realised most of the trophies could be done on easy mode. In saying that, it did take a little bit of time and since I was playing in Japanese I had to Google some stuff so I could understand the trophy requirements. Because of that, I still feel like I went to a small amount of effort to get this trophy, so my Platinum achievement was a small triumph to me, but a triumph nonetheless. 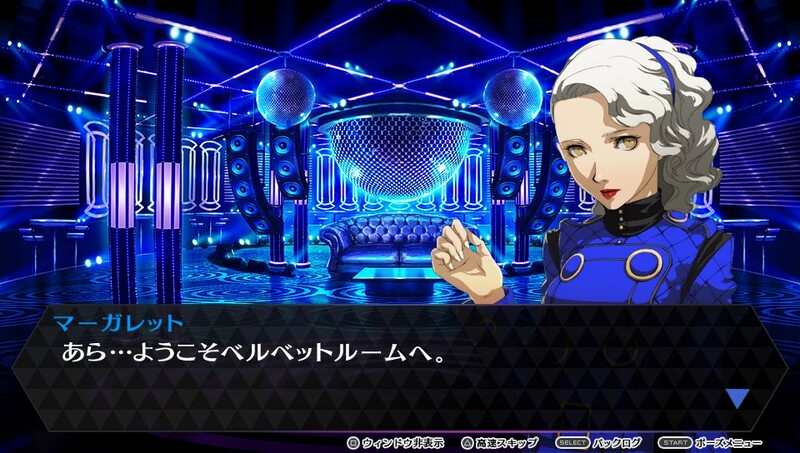 Now that I have the Japanese platinum trophy, I’m going to look into getting Persona 4 Dancing All Night in English so I can understand the story and maybe if I have time, I might double platinum it for fun. And I say all this with the hope that Atlus will give us a Persona 5 Dancing All Night that I’ll be able to look forward to platinuming too because this Platinum reminded me just how fun a rhythm game with Persona and its great music can be. 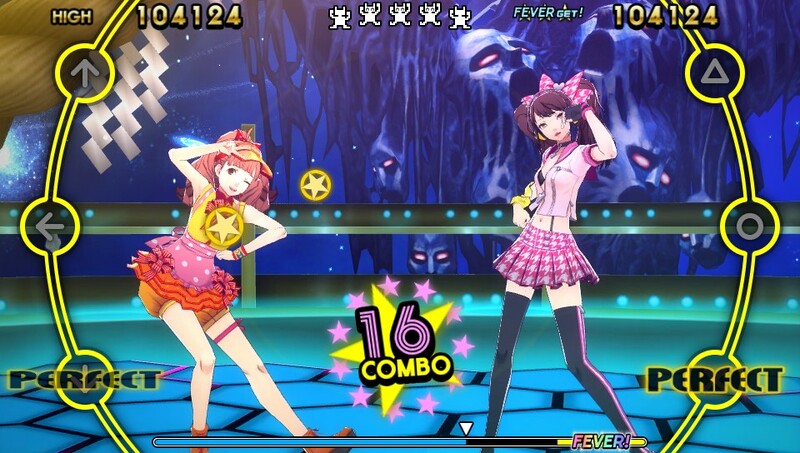 You can pick up Persona 4 Dancing All Night at Play-Asia.com! Have you platinumed a JRPG recently? What's your favourite JRPG spinoff game?